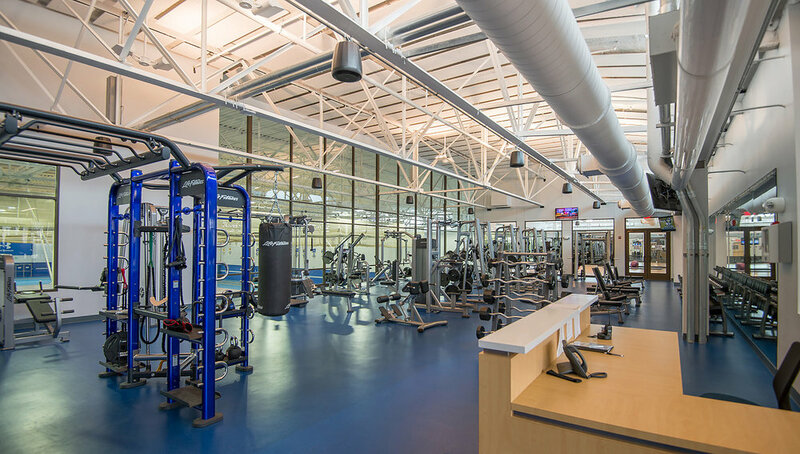 Seton Hall University’s addition to the existing Field House provides a much needed fitness environment for non-varsity athletes and promotes student fitness while reinforcing campus branding. 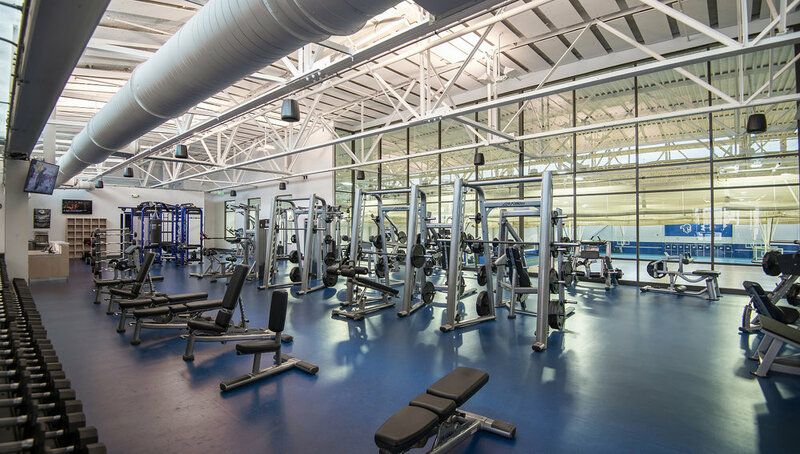 The construction of a new two-story addition to the existing Field House creates a space that promotes student fitness, as well as adding recreational and social spaces for the students. 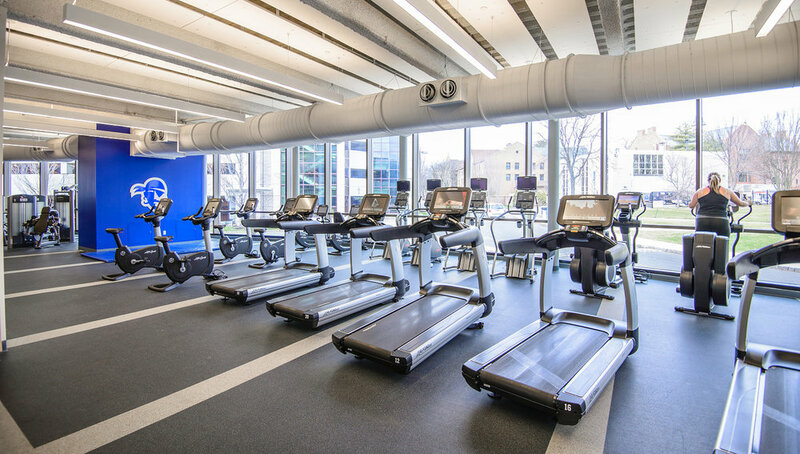 The building’s design and increased size promotes visibility to the campus and other fitness areas inside and has positively impacted student life for varsity and non-varsity athletes, as well as raising the bar for the University’s appeal to incoming students. A component of the Richie Regan Recreation and Athletic Center, this addition creates a new, exciting and engaging visual element that serves as a “storefront” of sorts for current and prospective students. This addition provides image enhancement with its state-of-the-art facilities and high visibility, promoting an increase in applications and interest to the University. The addition overlooks the existing track and courts, as well as the campus proper. It has been designed to bring natural light into the space while allowing for higher visibility of the activity inside. High visibility to and from campus and visibility within the facility promotes and encourages student involvement in fitness programs. 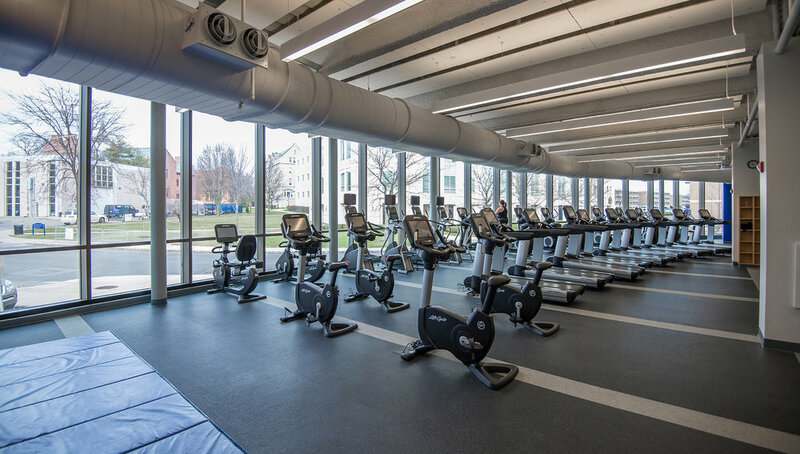 The increase in capacity of the fitness center has resulted in a successful project proven by high utilization by the student population.